Home Banking You Why are UK regulators incapable of protecting small businesses? 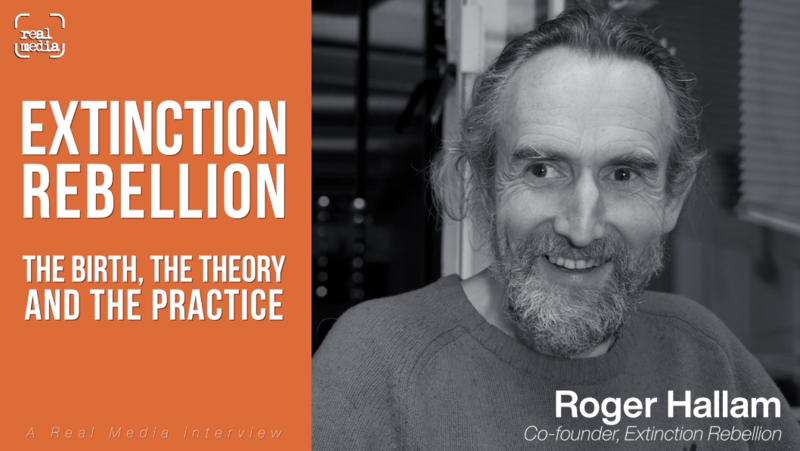 Why are UK regulators incapable of protecting small businesses? 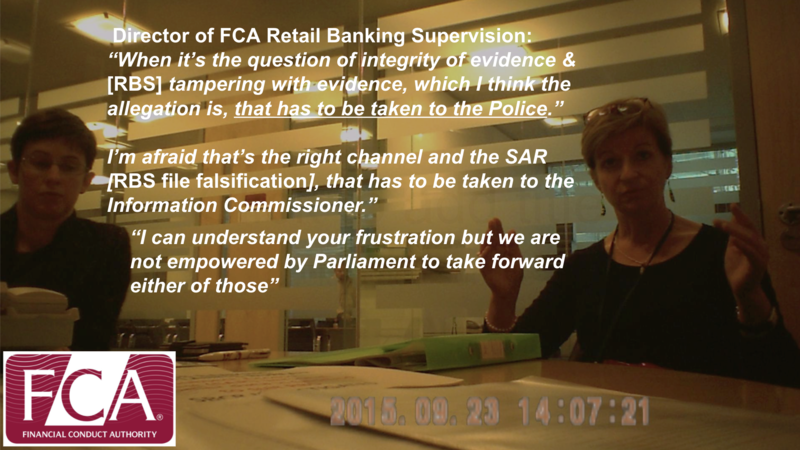 A leaked recording of a meeting between the Financial Conduct Authority (FCA) and the Serious Banking Complaints Bureau (SBCB), shows the regulator’s Head of Retail Banking, Karina McTeague, claiming not to have the powers to tackle RBS fraud. McTeague is questioned about customer file forgery by the bank which businesses say affected their cases. Many of these businesses were also victims of the bank’s Global Restructuring Group (GRG) – a ‘turnaround’ unit which asset stripped small businesses, and treated 92% of its customers inappropriately according to a new review by the same regulator. Victims of RBS GRG, who suffered at the hands of the bank, say they then had personal data, contracts, files and other documents falsified by RBS and used against them in court, but were informed by The FCA at a meeting in Canary Wharf in September 2015, to take their evidence to the Police. SBCB: “this is so serious that the bank relies on the integrity of the central file. Now if that [central file] has not got any integrity, and I’m convinced it hasn’t, because of my investigations, I’m convinced that they do whatever they like with it, in whatever way they feel necessary; that everything falls down, because it means that every Subject Access Request [SAR] is questionable; your central file is questionable; what they say in court is questionable; and at the very least – you just can’t rely on it! 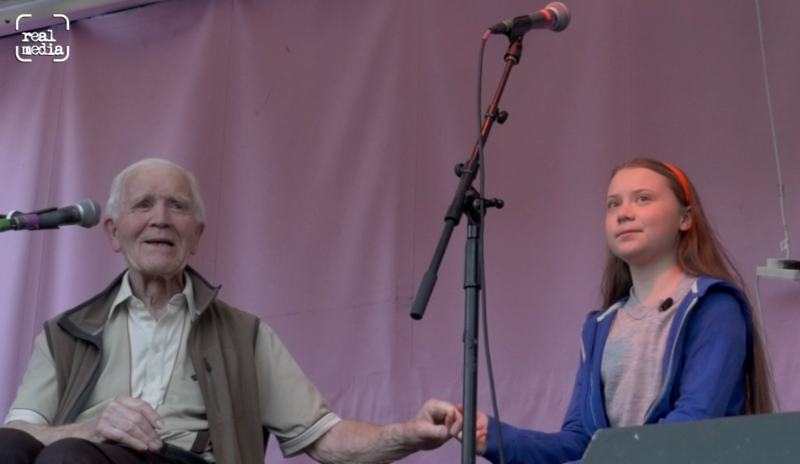 FCA – “I completely understand where you’re coming from. This is when it’s – the question of the integrity of evidence, and tampering with evidence which I think the allegation is. SBCB – “Yes it is definitely. 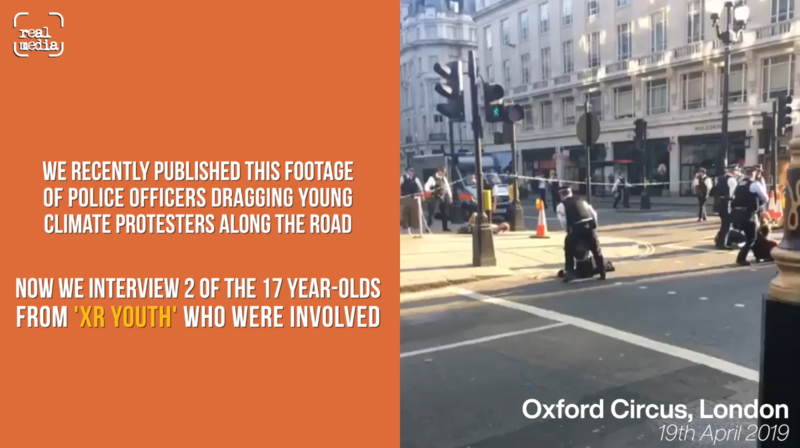 FCA – “That has to be taken to the Police. I’m afraid that is the right channel and the SAR [file falsification], that has to be taken to the Information Commissioner. I can understand your frustration but we are not empowered by Parliament to take forward either of those two. “The skilled person that conducted the independent review invited the FCA and other policymakers to consider extending the protections available to SME customers in other ways, in particular for less sophisticated SMEs and vulnerable persons, and to extend the regulations covering unfair contract terms. Tomorrow Andrew Bailey will face the Treasury Select Committee (TSC) to account for the City regulators’ recent performance, with the case of the GRG high on the list of priorities. What should also be asked is why the regulator did not ask for more powers amidst receiving hundreds of complaints and reports of GRG abuse and later, file falsification, in order to protect small businesses. 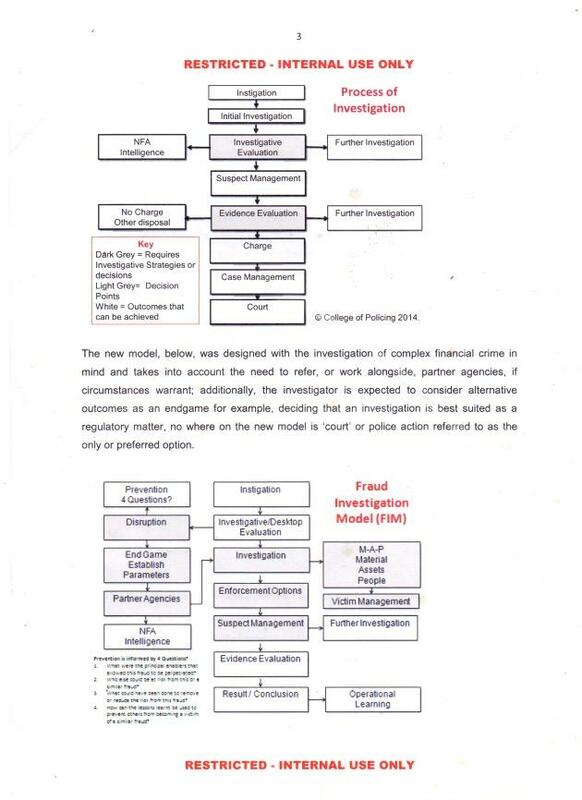 From internal police documents provided by victims, in 2014 – the College of Policing changed the way they investigate and prosecute financial fraud – the Fraud Investigation Model (FIM). Details of the FIM model were disclosed in an email from DCI David Manley at City of London Police to anti-corruption campaigner Nicholas Wilson, a whistleblower on a case regarding overcharging on store cards by HSBC. 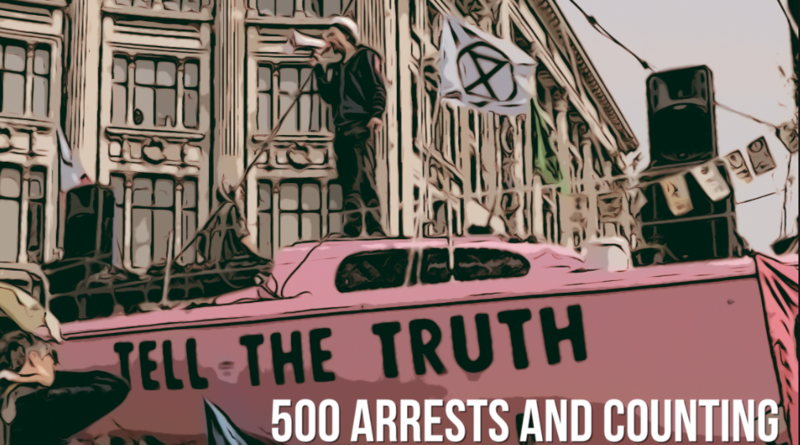 The FIM documents an apparent shift away from active prosecution of financial fraud by Police forces – with talk of “alternative endgames” and “partnership working” replacing “court” or “police action” as preferred outcomes for tackling financial fraud. Above: Nicholas Wilson, told us in a recent interview of the government’s plan to shut down the Serious Fraud Office (SFO). This would mean that “all fraud prosecutions will go through the National Crime Agency, which is not independent”, leaving Amber Rudd, as Home Secretary, in charge of who to prosecute. 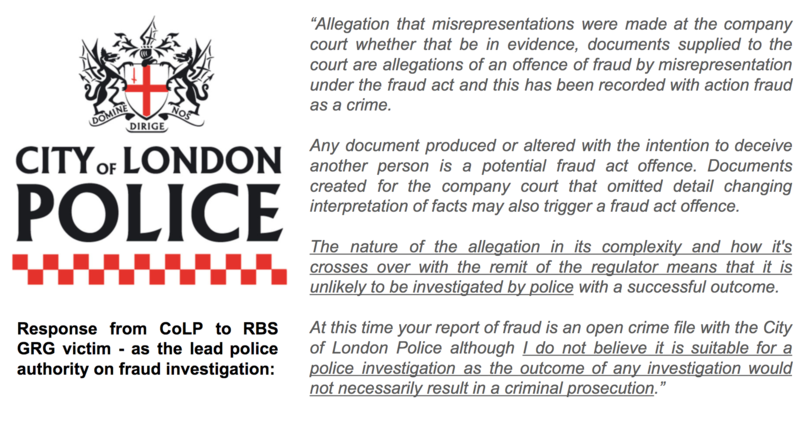 In short, the FIM represents a departure from the active investigation and prosecution of fraud by UK Police Forces. This leaves RBS victims in limbo, being passed from regulator to police, who both avoid responsibility for investigation of their claims and allegations against what may be some of the worst perpetrators of fraud – banks. It further risks creating a black hole for oversight regarding fraud. In the US, Wells Fargo was recently found to have created 3.5m fake accounts for customers, as staff attempted to reach sales goals and claim bonuses in their retail arm. Similar pressures have been apparent in UK banks, and with no route for investigation into fraud claims, regulators and politicians risk creating an environment with no guard against perverse results of these kinds of pressures. Rather than tackle fraud by City of London banks head-on, the FCA’s Financial Crime/Fraud section of its website attempts to position fraud as something that happens to regulated finance firms, at the hands of external fraudsters and scammers. Despite the litany of recent fraud offences committed by UK banks, the FCA does not entertain the concept of fraud as a crime committed by firms like RBS and its GRG subsidiary. Instead of a potential perpetrator of fraud to be closely monitored, The FCA view RBS as a “corporate partner” in solving fraud. A trusted member of the ‘Fraud Advisory Panel’ along with the Police, financial consulting and advisory firms, and ‘fraud data sharing experts. A Freedom of Information (FOI) Act request has been sent to the City of London Police in order to confirm the origins of the FIM, how broadly the policy has been applied, how closely it is being implemented among partner agencies and Police across the UK, and to what extent the move away from prosecution and enforcement is being communicated to the victims of financial crime. In response to the apparent decriminalisation of white-collar crime by banks including RBS, The FCA, Treasury Select Committee and Parliament must now reconsider the extent to which financial fraud investigation and enforcement can be handballed to under-staffed Police forces by The FCA, without any realistic prospect of investigation, or prosecutorial success.